Unicity Complete is a high protein, low-carbohydrate food that provides needed nutrients and helps to keep you full until next meal. Not only is Unicity Complete a good substitute for sugary cereals, it tastes good too! 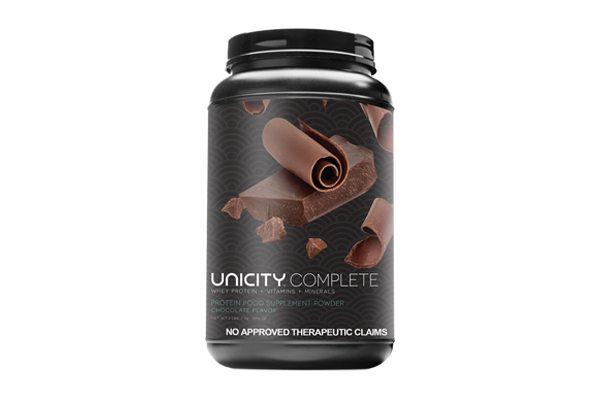 Unicity Complete has a rich chocolate flavor that helps control your sweet tooth while providing the energy you need to make it through the day. Provides 18g of high-quality protein to help keep you feeling full, build lean muscle mass, and provide energy without causing large spikes in insulin. Contains 4g of fiber to help increase satiety.